I use this as supporting notes for a talk I give on Modern Monetary Theory (it’s missing the jokes and the audience participation!). By Internet standards it is quite long, but it provides a good overview and should take no more than 30 minutes to read. If you want a quicker read I have something much shorter. The words and phrases in bold are key concepts, some of which will become links to upcoming articles. Modern Monetary Theory is not something that a government can choose to adopt. MMT is not something that can be turned on or off. In and of itself, MMT is not a policy, although there are policy prescriptions which flow from it. Modern Monetary Theory is simply a description of how the monetary system works — right here, right now. In providing that description, MMT lifts the veil on a carefully crafted fiction about spending and taxation, one that provides the ideological backing for the form of capitalism we commonly call ‘neoliberalism’. Unfortunately, that fiction is accepted as a universal truth by almost everyone, irrespective of their political affiliations. Now, we all have some idea of how money works and lots of opinions about how it should work. I’m going to ask you to temporarily suspend those ideas and opinions while you read this, because MMT turns many of them upside down. Even with only a basic understanding of MMT, you will find that everything looks different — you start to see what’s hidden inside all the random noise that accompanies talk about money and the economy. First, MMT neuters the standard capitalist retort: How are you going to pay for it? In the new paradigm the question is rendered meaningless because we pay for it by spending the money — it’s as simple as that. Second, MMT shows that unemployment is a choice made entirely and exclusively by the government of the day. Once these two points are understood by a (truly) progressive UK government it can set about implementing a radical economic plan, one which is built around first class public services and a Job Guarantee programme. The Job Guarantee is at the heart of MMT because it does two things: it provides a meaningful job and a true Living Income to anyone who wants one; and it helps to control inflation. In a nutshell then, MMT sweeps away all the nonsense about there not being enough money and all the nonsense about having to tolerate unemployment in order to keep inflation down. Modern Monetary Theory is a descriptive endeavour which leads to some quite startling and world-changing prescriptive conclusions. Let’s start with the descriptive component. It details how the monetary system of a nation like the UK has worked since 1971, which was when the 1944 Bretton Woods system of international payments collapsed and the last vestiges of the gold standard were abandoned. To properly understand MMT you need to know a little bit about gold. 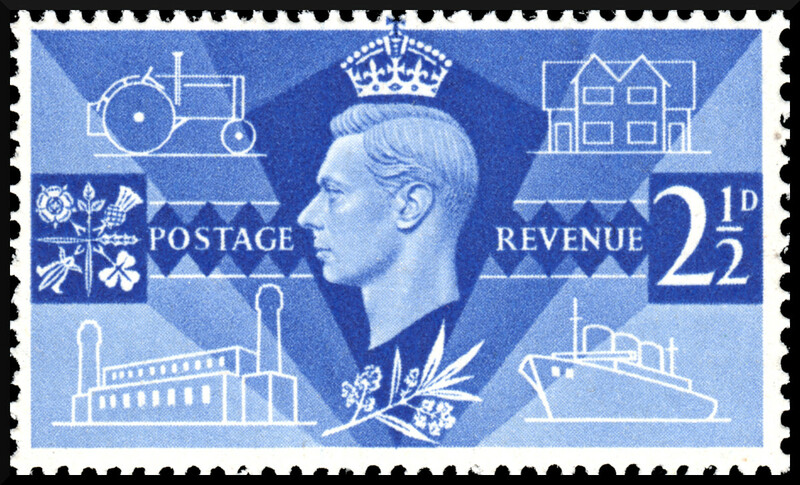 Prior to 1971, the UK government’s policy options were constrained by the gold standard. Sterling wasn’t directly convertible into gold, but the value of the pound was fixed against the US dollar and that was convertible. Having to defend the pound in a fixed exchange rate system forced the UK government to adopt policies which were not in the public’s best interest. In simple terms, the number of pounds in circulation was restricted by the amount of gold and dollar stocks held by the government. The money supply had to be more or less static — if the government spent £100 into the economy, it had to remove £100 through tax or otherwise drain it by issuing bonds. The government appeared to be revenue constrained — an illusion was created that it could only ever get its money from taxes, with any shortfall covered by an action which came to be known as ‘borrowing’. After 1971, the pound was no longer pegged to the dollar and we entered the current era of free-floating currencies — where the value of the pound is decided on the international markets. Sterling became a fiat currency, one that is not backed by a commodity or tied to a foreign currency. The word ‘fiat’ is Latin for ‘let it be done’ and indicates that the currency is simply legislated into existence. The government says this is the currency and so it becomes the currency. The policy limitations that resulted from the gold standard and fixed exchange rates no longer applied. With a fiat currency the idea of a ‘run on the pound’ is a meaningless concept and the government no longer has to contend with currency speculators or ‘bond vigilantes’. Nor does it have to worry about ‘propping up the pound’ or, to a large extent, the fact that we import more than we export. Most importantly, there is absolutely no way the UK government can be forced to default on debt repayments.3 Anyone, be it an economist, a politician or a newspaper columnist, who claims that the UK is at risk of default is talking nonsense. All the worries about default or a ‘run on the pound’ belong to the 1960s and it’s staggering how they are still indelibly imprinted on the collective mind.4 Not having to deal with all these issues means that the government can use all the economic tools at its disposal to achieve domestic objectives — which should always include full employment. Moreover, the claim that the government is revenue constrained — that taxes pay for spending — no longer makes any sense. From the government’s perspective, the age of money scarcity ended in 1971 and it’s been like that ever since. The Left accepts these assertions without challenge and unwittingly reinforces them with talk of increasing taxes on the rich and corporations. It’s a nonsense that bolsters the Right and severely restricts the Left. and it does not have debts in a foreign currency — so no borrowing from other countries or from the IMF. MMT prescriptive policies apply to the UK, the United States, Japan and many other countries. The policies would be problematic if applied in Eurozone countries, be it Germany or Greece, because they all use a currency which is, to all intents and purposes, a foreign currency. What about Argentina? They have their own currency and they went bankrupt, didn’t they? What about Zimbabwe? They had their own currency and that didn’t stop all that inflation. And what about the current crisis in Venezuela? Argentina does have its own currency, as did Zimbabwe when it went into meltdown. But both countries also had masses of foreign debt and at the time of the Argentinian crisis the peso was pegged to the dollar. As for Venezuela, there is nothing MMT can do to ameliorate the combined effects of governmental incompetence, an economic elite determined to regain control and hostile interference from a powerful foreign entity. The textbook way to further explain MMT usually involves an analysis of the flow of money between different sectors of the economy. The trouble with this route into MMT, the sectoral balances approach, is that it involves a little bit of double-entry bookkeeping — it’s not difficult, but some people may be put off by some of the terminology. Here’s another way to get you started which requires no prior knowledge — all you need is an opinion about other peoples’ opinions. Suppose a poll is carried out tomorrow, with a large and representative sample of the electorate. There are just three questions, the first two of which are very simple. See if you can guess how most people will answer them. Do you believe that the government deficit should be cleared within the next twenty years? Given the current hysteria about deficits, I don’t think the answer is in doubt — most people are going to answer ‘yes’. The thing I find worrying about this question is that a lot of people will answer ‘yes’ when they don’t really know what the deficit is. Moreover, I’m surprised by some of the people who struggle to provide a definition. I know quite a few academics who, with no hint of shame, admit that they don’t know what the deficit is — yet they still hold an opinion about it. For readers who are little bit unsure, the standard definition of the deficit is the difference, over a given period, between what the government spends and what it gets back in tax. Do you believe that everyone should have the opportunity to save a small amount from their income? Saving is usually seen as a good thing, so they are probably going to say ‘yes’. These two answers demonstrate two things: that most people don’t understand how our system of money works; and that they have the ability to hold two contradictory beliefs at the same time. It is impossible for a country like the UK to eliminate the deficit and still allow the domestic private sector to increase its stock of savings. Believing that the deficit can be cleared while we are still increasing our savings is just Orwellian doublethink. Suppose the government pays two people £100 each for some work. One is a window cleaner who is paid the minimum wage. The other is a PR consultant whose salary is £150,000. Now, a proportion of each £100 is going to go back to the government in the form of tax. Does the government get more back in tax from the £100 it paid to the window cleaner or the £100 it paid to the PR consultant? How are people going to answer this one? It’s certainly a lot less clear-cut than the first two questions. I find that people answer depending on where they are on the left-right/poor-rich/north-south spectrum. Those at one end of society will say that highly paid consultants, being ‘part of the 1%’, will pay less tax because they can afford fancy accountants. At the other end of society is the argument that window cleaners, being members of the ‘devious lower orders’, will avoid paying tax altogether by insisting on being paid cash-in-hand. So, what is the real answer? Well, it’s that there is no difference. The government gets exactly the same amount back in tax from the £100 paid to the window cleaner as it does from the £100 paid to the consultant. In fact, the government will get back around £90 in tax for each £100. Moreover, it will always get £90 back for every £100 it spends, no matter where it spends it and no matter what the tax rate is. and they can’t see that this means that government will always get back almost all that it spends. To see how this works, let’s look at one of the payments and analyse the spending chain it creates. I am assuming a simple tax system where all transactions are taxed at 20%. Virgin uses the remaining £41 to pay for a window cleaner to clean the windows at one of its stations. And so it goes on, money moving along a spending chain (which sometimes doubles back on itself). It is just a simple geometric progression where government spending causes taxation — not the other way around. This is key point in MMT: the spending comes first and tax is a secondary operation. It’s the spending that makes the tax happen. Government spending bounces around the economy — generating income for households and firms — and a little bit goes back to government at each link in the chain. Where does the money to pay taxes come from in the first place? Money in a modern economy is not something that pre-exists within the economy. It always comes from a higher source. Even in economies where money was based on precious metals, it was usually issued and controlled by a higher source. Consider the Robin Hood legend and money taxes (taxes paid in crops or labour are different). The king decreed that money taxes were to be paid in silver coins and used a Nottingham-based proxy to collect them. Where did those coins come from in the first place? What would happen if the king didn’t tax them back? Our little model has shown that £100 spent by the government has spread out into the economy, creating £336 in personal and corporate income, and £59 has gone back in tax. Something else happened that didn’t create any income or profit and won’t show up in the GDP figures — Brenda got a bit of time off from her work as a carer. That respite was enabled, albeit indirectly, by government spending. But we’ve only followed the spending chain for a few links. The process will continue until the government gets back £90 and income amounting to £450 has been generated. What’s more, the government will still get £90 back if the tax rate is reduced to 18% — there will just have to be a more links in the chain. In the long run, tinkering with the tax rate has virtually no effect on the total tax take. You may ask why we don’t reduce income tax to a flat 5% then. That’s because tax has purposes other than serving as a drain of government spending, the most important being that it allows the government to direct the use of resources — people and stuff — for the for the benefit of all. Tax takes away some of our purchasing power and in doing so leaves resources unused. The state can then buy those resources and deploy them to further the public purpose. and to ‘express public policy in the distribution of wealth and of income’. Why would anyone accept money that is not backed by gold? They accept it because it’s the only thing with which they can pay their taxes — and a cosy little cell is always available for anyone who doesn’t pay up. Tax is not designed to give people a nice warm feeling inside when they pay it. Tax is not ‘the price you pay for living in a civilised society’. Tax is coercive. Tax is an expression of raw state power. For some people, this is where the cognitive dissonance kicks in and they start to feel uncomfortable with MMT. They feel a bit queasy as the truth materialises out of the background noise and they realise that everything they believed about money and the economy isn’t true any more. But let’s get back to our spending chain. Why does the government only get back £90? Surely if we follow the maths the government will get back all £100. What happened to the other ten quid? Well, the bit that the government doesn’t get back is the bit that isn’t spent — twenty-pound notes hidden under a mattress, money in an ISA or retained corporate profits. Anything that isn’t spent is, by definition, our savings and money that is saved breaks the spending chain. Saved money can’t cause any further tax to happen. Therefore, in any given period the difference between the amount the government sector spends and the amount it gets back in tax is equal pound-for-pound, penny-for-penny to the increase in the savings of the non-government sector. Hang on a minute! Isn’t the difference between what the government spends and what it receives in tax the definition of the deficit? Of course it is. The thing we call the ‘deficit’ (which is universally perceived as a Bad Thing) is nothing other than an accounting representation of the aggregate increase in savings (which are universally perceived as a Good Thing). The deficit is savings. It’s not accidental that the public suffer from deficit doublethink and it’s the result of 40 years’ worth of clever PR. Imagine you were a neoliberal strategist, hell-bent on reducing the size and reach of the state. Which term would you use to describe the difference between government spending and tax receipts? Deficit or savings? Terrifying black hole or national nest egg? Of course, you could just take a neutral stance and call it the fiscal balance, for that’s what it is. MMT goes on to show that net financial assets — which is just a fancy name that economists use for ‘savings’ — cannot come from anywhere other than from government spending. That’s because the real money in the system always comes from government. We’ll look at this in more detail later. So far, so straightforward. However, there may be a bit of a problem: some of the terminology may be confusing you. I’ve said that the government ‘gets back’ through tax almost all that it spends and this may cause you to think that the money it ‘gets back’ is somehow available to be spent again. It isn’t, and this is where MMT provides a critical insight into the true nature of government spending. All UK government spending is new money which is eventually destroyed by taxation. The government doesn’t really ‘get back’ the money it taxes out of the economy — the money just ceases to exist. But as that money travelled along the spending chains it got lots and lots of useful things done. Now, the operative word that I have just used is ‘desire’ and it blows a big hole in the ideology of austerity. For the last 40 years governments of all persuasions have told us that the deficit is a Bad Thing and then pretty much ignored it. Since 2010, however, the deficit has become a political weapon and the government has persuaded almost all of us that it must be eliminated.10 The government claims to have the power to rid us of the deficit and they tell us that the form in which that power must be exercised is austerity. It certainly sounds plausible: if the government spends less then surely the deficit will be reduced, won’t it? But we now know that the deficit is actually a measure of our desire to save, our desire to import and the Chinese desire to save in pounds. The government certainly has some power to reduce some spending, but it doesn’t really have power over desires. The truth is that the government can never fully eradicate the deficit and any attempt to do so will only harm the economy. That the government can never control the deficit is due to its defining characteristic: endogeneity. Economists like to class the factors that determine the operation of the economy as either endogenous or exogenous. The terms describe the amount of control that can be exercised over the factor. If the factor can be controlled directly, then it is classed as exogenous. Conversely, if there is very little that external influence can do to alter the factor then it is said to be endogenous. The deficit is endogenous because it is determined by our savings intentions, not by government spending decisions. So, deficits are neither good nor bad. They just show that money is flowing from the government sector to the non-government sector. The government creates the money out of nothing and it becomes our savings. A government surplus shows the opposite — that the state is removing money from the non-government sector and destroying it. If we are going to continue to pay our taxes then, in aggregate, we are going to have to economise. The population as a whole will either have to reduce its spending or run down its existing savings. Imagine what that does to the spending chains and the livelihoods which depend on them. It may be true that deficits are neither inherently bad nor inherently good, but is possible for a deficit to be harmful. A deficit is benign if the administration understands what it is — the savings of the non-government sector — and directs policy based on that understanding. However, if the administration doesn’t understand this, or chooses to conceal its understanding for ideological reasons, it is possible to have a deficit which creates harm. It won’t be a harmful deficit because it’s expressed as a bigger number, it will be a harmful deficit because the country will be worse off in terms of employment, health, happiness and all the other things that make up our collective well-being. Well, we’ve pretty much arrived at the concept of sectoral balances without having to go into any accounting. The sectoral balances approach was developed by Wynne Godley, a British economist, in the 1970s and shows that however we split the economy into chunks — sectors — all those chunks must balance each other. The whole must sum to zero. This is because, just like a company balance sheet, for every asset there is always a corresponding liability. For every borrower there is always a lender. Suppose we split the economy into government and non-government sectors, then if one sector is in surplus the other must be in deficit. The accounting tells us that it cannot be any other way. If the non-government sector is in surplus because of its desire to save, then the government sector must be in deficit. You can’t get away from this fact and no economist or chancellor will dispute it. You can certainly try to debunk it, but be warned: you will first have to disprove the science we call ‘arithmetic’. You will have to show that 2 − 2 ≠ 0. Good luck. First, the ‘deficit’ is just another name for the flow of money into savings, both domestic and foreign, that takes place in the Sterling economy over a given period. Oh, and the thing we call the ‘National Debt’ is just an accumulation of previous deficits. The ‘debt’ is just the total stock of money held in savings at any given moment. The deficit and the debt are not things that we — or our grandchildren — ever need to worry about. Second, spending precedes taxation. At the risk of sounding like Doctor Who, we need to reverse the polarity to understand the economy. Government spends new money into the economy and it is gradually destroyed by tax. The spending effectively pays for itself, so the question ‘How are you going to pay for it?’ is meaningless. We pay for it by spending the money. Now, this bit about the government getting back £90 for every £100 it spends sounds too good to be true, doesn’t it? This seemingly magical rule doesn’t apply to you or me, to the corner shop or to the trans-national corporation. When we spend we get goods and services in return. When government spends it gets goods and services and it ‘gets back’ the money in tax. It’s one of two reasons why the government budget should never be compared to a household budget. The other reason is that the UK government is the monopoly manufacturer of Sterling. Government is the currency issuer. A household, like everything else in the non-government sector, is a currency user. I am going to make a quick detour at this point and talk briefly about banking. Some people are concerned about the apparent power that banks have to create money. It’s true that the banks create out of thin air an awful lot of stuff that people like to call ‘money’ and the economy would collapse without it. However, what’s always missing from these worrying analyses of bank lending is that all bank credit sums to zero. Every asset created by the banks always has a corresponding liability and any ‘money’ created when a loan is made is destroyed when the loan is paid off. The difference between the money created by government and credit issued by banks becomes apparent if we think of government spending as an ‘interest-free loan’ into the economy. It’s a loan that’s gradually ‘paid off’ by the taxes that are raised at each link in the resulting spending chains. Except that it’s never quite paid off because we choose to save some of it. Try that with a bank loan and see how far you get. You have to pay off a bank loan in full and you have to pay interest. Wouldn’t you rather see poverty reduction enabled by government ‘loans’ than by payday loans? Which brings us back to government being the only entity that can issue Sterling. To get savings in the system we have to have a special type of money — economists call it high-powered money — which is injected into the system from outside the system. All bank-created money is inside the system, but every penny of government spending is high-powered money. The upshot of all this is that the UK government never needs to ‘borrow’ and — here’s the important bit — the government can always create as much currency as it needs. That means the government can buy whatever it wants that is for sale and priced in pounds. See! These MMT crazies think the government can just keep on printing money until the cows come home. We’ll be ruined by inflation! We’ll end up like Weimar Germany or Zimbabwe! We’ll be issuing trillion pound notes! Well, no we won’t. All spending carries a risk of inflation, but money alone does not create inflation. The risk depends also on the availability in the economy of real resources — people and stuff. Sure, the UK government can always win a bidding contest with the private sector for any resources that can be bought with pounds, and this may force up the price if the resources are limited and there is significant private sector demand for them. So, yes, the government does need to be mindful of its unique power. But what if the government were to buy up all the things which nobody else wants? After all, it’s difficult to force up the price of something if there is no demand for it. Unfortunately, there isn’t enough unwanted stuff in the real economy on which the government can usefully spend its money. There are, however, lots of people who are classed as ‘unwanted’ — millions of them, in fact. By definition, the unemployed and the underemployed are unwanted in that they don’t attract a bid price from the private sector. This is where the Job Guarantee comes into play. It is a core part of MMT — it’s the prescriptive bit — and it’s important because it helps maintains price stability. It helps control inflation through a constraint on government spending. But it’s not a revenue constraint; it’s a real resource constraint. The dominant economic models tell us that there is an inverse relationship between inflation and unemployment. Mainstream economists, including all those Nobel laureates, say that attempting to bring unemployment down will always put inflation up. They say that, if we want to keep inflation at bay, it’s necessary to have millions of people unemployed or underemployed or in all those insecure, low paid jobs. This is the Phillips curve and its cruel companion the Non-Accelerating Inflation Rate of Unemployment (NAIRU), theories which lead to the claim that there is a natural rate of unemployment at which the economy is somehow ‘optimised’. They are nothing more than ways to explain away failed models and ineffective policies. The primary aim of the Job Guarantee is to provide useful and meaningful employment in the public sector at a fixed minimum wage to anyone who wants a job and can’t find one in the private sector — or, for that matter, doesn’t want to work in the private sector. Although the wage is fixed, it will be a Living Income set at the level society thinks is a fair and reasonable minimum for someone working full time. I suggest that should be around £19,500 — that’s £10 per hour for a 37½ hour week — along with comprehensive rights and benefits, including paid holidays, paid maternity or paternity leave, union membership and ongoing training. There is also the freedom to choose the number of hours worked each week, so people can allocate their time to other things too. The Job Guarantee is not Workfare. Nor is it a job creation scheme which the government turns on and off depending on how an unaccountable committee interprets the ‘health’ of the economy. The level at which the programme runs depends entirely on demand from the people. If you want a Job Guarantee job, then it’s your right to have one and it’s up to the administrators to find one that suits you. Crucially, that right extends to anyone who is currently in work and this puts very strong pressure on the private sector. If firms want to employ people then they are going to have to offer better pay and conditions than the Job Guarantee. In effect, the government, through the Job Guarantee, is using market forces to coerce the private sector into treating its workers fairly and responsibly. But at the same time as providing work, the Job Guarantee also acts as a balance to the ups and downs of the business cycle. The Job Guarantee is a public sector auto-stabiliser, a counter-cyclical mechanism that evens out boom and bust in the private sector and anchors inflation. Here’s how it works. When the private sector suffers a downturn there will be redundancies and anyone who loses their job can choose to take up a job offer from the Job Guarantee. This causes an automatic increase in government spending into the economy, ensuring that the spending chains and all the other incomes dependent on them are maintained. The Job Guarantee keeps the economy going and stops a slide into recession. Just as important is the maintenance of our collective well-being by providing everyone with something useful to do. Conversely, when business is booming, the Job Guarantee programme contracts as people are attracted away from it and into private sector jobs. As the programme scales down, government spending is automatically reduced, the economy doesn’t overheat and the risk of inflation subsides. It’s a simple, elegant mechanism and because it’s automatic there’s no need for a bunch of technocrats to decide how much government spends into the economy. Moreover, it shows that recessions are discretionary. Just like unemployment, going into recession is a choice made entirely and exclusively by the government of the day. Remember, if the private sector is somehow unable or unwilling to provide full employment, then there is still one sector left which is always able and should be willing. Under extreme conditions the automatic stabilisation effect of the Job Guarantee may be insufficient and the government may need to raise taxes or reduce spending in order to prevent inflation. The first step should always be to raise taxes on the rich and if this causes redundancies then the Job Guarantee is always there to pick up the people who lose their jobs. The Job Guarantee curbs inflation by moving workers from an inflating sector to a fixed wage sector. There is much, much more to say about the Job Guarantee, but I need to bring this piece to a close. However, I urge you to keep thinking about it. Try to make a mental list of all the jobs that we don’t do now, but which we could do under the Job Guarantee — all those nice-to-have jobs which would generally make the UK a better place. Then there are all those unpaid jobs that we already do, work we take for granted which should be recognised. Brenda caring for her mother, for example. The Job Guarantee will change the definition of ‘work’, so the jobs don’t have to be profit-making or ‘productive’ in a private sector sense — anything that furthers the public purpose will do. Look closely at the apparent randomness around you and, just like an autostereogram, those jobs will snap into focus. You will realise that there is always plenty to do and that should make you suspicious of the claim that, in the future, there won’t be enough work to go around. We can never, ever run out of useful jobs to do. So, what’s next? Well, two things for starters. First, we have to explain the difference between ‘sound’ finance and functional finance. Sound finance is the myth that government budgets are the same as household budgets or, if you are a mainstream economist, that there exists a Government Budget Constraint. Functional finance acknowledges the power of sovereign currency and stresses that it is the job of government to use that power for the good of the people, particularly by ensuring full employment. It’s an idea posited in 1943 by Abba Lerner, the Russian-born British economist. Unfortunately, at the Bretton Woods conference in the following year the US ‘encouraged’ us to return to the gold standard. Second, we need to start altering the discourse and the first candidate for change should be the word ‘investment’. All the talk of government ‘investing’ in the economy is a prime example of working within a neoliberal framing — trying to package up spending in a way that is supposed to look responsible, making it look as if government is some sort of business. We should be honest and tell everyone that the government just needs to start buying up all those unused resources — the ones without jobs. When the Right say ‘How are you going to pay for it?’ we tell them. The debate needs to switch from money to resources if the Left is to prevail. Then, armed with the knowledge that a fiat currency provides the government with the ability to provide jobs for all, we need to question capitalist power relations — all that conventional wisdom about relying on the rich for their tax money, pampering the corporations because they alone create jobs, regarding the financial sector as an engine of growth, and believing that national governments are constrained by globalisation. All that nonsense is just that: nonsense. I am going to finish with a little bit about socialism in the United States. Bernie Sanders is minority chair of the Senate Budget Committee and in 2015 he appointed Stephanie Kelton to the post of Chief Economist to the committee. Kelton is a professor of economics and a leading developer of Modern Monetary Theory. That’s what the progressives are doing in America — moving MMT into the mainstream. It is something which is just starting to happen here, too. 1. ↵ It’s interesting how the Financial Times was covering MMT six years ago, but The Guardian still hasn’t caught up. See Why MMT is like an autostereogram, Izabella Kaminska, 22 February 2012, FT Alphaville. 3. ↵ Default can only be forced on a country which is not sovereign in its currency. That includes all countries which use the euro because they are not monetarily sovereign. In this respect, Germany is no better off than Greece — both can be forced to default. 4. ↵ It’s worth noting that from 1990 to 1992 we returned to a pegged currency system when the UK became part of the European Exchange Rate Mechanism. The ERM was a precursor to the euro and required that the UK maintain the value of the pound within a narrow band. It didn’t go at all well, created a recession, and ended in an ignominious and very costly exit from the ERM on ‘Black Wednesday’. Still, a few speculators made billions out of it, so it wasn’t all bad. 5. ↵ I probably have to careful here that I don’t come across as a conspiracy theorist. I am not suggesting that there is a secret cabal busy organising a disinformation campaign to persuade us that tax funds spending. The economic elite believe the nonsense just as much as we do. But because it’s nonsense which justifies the elite’s position in society it’s the nonsense which get column inches and airtime. 6. ↵ Unfortunately, the Labour Party is still pushing the household budget nonsense. When asked by Martin Wolff ‘Does he share the view that ordinary people do not understand economics?’, John McDonnell answered: ‘Most ordinary working people know how to budget better than any politician, largely because they are living off low wages and they have to, therefore, make sure they can get to the end of the week. The best budget person I ever met that understood real economics was my mum. My dad would come in, hand her the wages and, because it was that sort of generation, she would look after the household and we would get by.’ Economics 101, 27 July 2018, BBC Radio 4. 7. ↵ Taxes for revenue are obsolete, Beardsley Ruml, January 1946, American Affairs. 8. ↵ A common and invalid criticism of MMT is that it only considers a closed domestic system, without regard for the rest of the world. Any confusion usually arises from a deliberate misinterpretation of the term ‘non-government sector’. 9. ↵ I say ‘most of the time’, but at the time of writing it’s very different. The UK domestic private sector — households and firms — is not saving in aggregate. It is dis-saving, running down its stock of savings, and this is due solely to the government’s austerity policies. It is an unsustainable situation and precisely the sort of thing which will lead to another financial crisis. 10. ↵ Even the Labour Party is in on the act: ‘Our manifesto is fully costed, with all current spending paid for out of taxation or redirected revenue streams. Our public services must rest on the foundation of sound finances. Labour will, therefore, set the target of eliminating the government’s deficit on day-to-day spending within five years.’ Balancing the Books, Labour Party Manifesto, 2017, The Labour Party. 11. ↵ Strictly speaking, it is possible to get net saving between different entities within the non-government sector using bank credit, but it’s not possible either at the individual level or at the aggregate level. 12. ↵ Poverty in America, Hyman P. Minsky (Margaret S Gordon, editor), 1965, Chandler Publishing. Reprinted in Ending Poverty: Jobs, Not Welfare, Hyman P. Minsky, 2013, Levy Economics Institute of Bard College. Next article Is there a critical shortage of rich people?